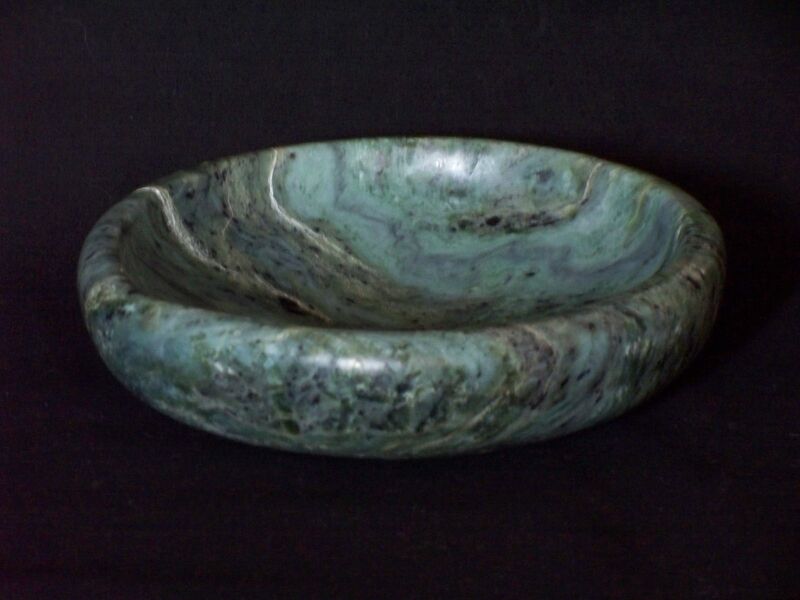 This bowl was commissioned by a customer from Washington that prospected the jade himself and sent it to me. There is a very wide price range for jade (also known as nephrite & jadite)... low-grade specimens may sell for as little as a few dollars per lb, while very high-grade, translucent jadite specimens can cost hundreds of dollars/lb. Dimensions: 6 ½ " x 1⅝"